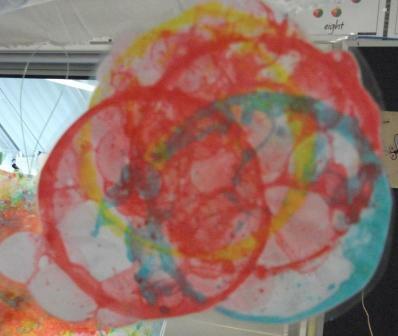 My preppies love to blow bubbles and to enhance the fun we did some bubble painting. We poured some bubble mixture into 3 different containers. (Recycled margarine containers are good but we used some containers with lids, as we had soooo much mixture left over from Under 8’s Day, we thought we could store it in these as well.) 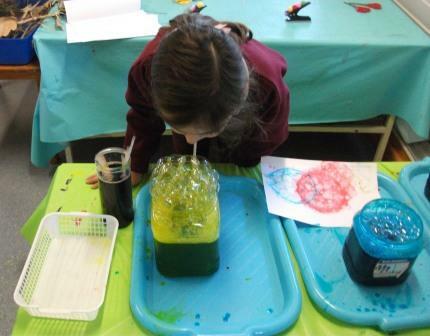 We added some powder paint to the containers, stirred it gently to dissolve and……… there we have it- coloured bubble mixture. From past experiences with this activity there needs to be some organisational structure ( and with younger children, a lot of supervision.) 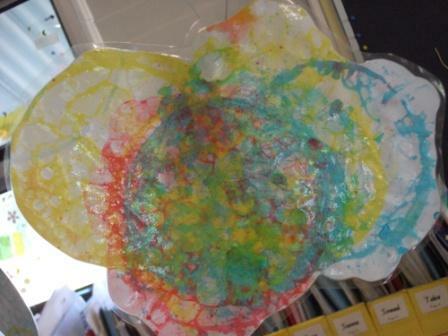 Firstly, to catch any spillage each container was put on a tray and the children moved to the colour they wanted rather than moving the bubble container to them. Each child used their own straw, rinsed it in the water prior to using another colour and when they were finished, they put their straw in a small bin. (We washed these and will use them later for threading.) Finally and most importantly, we practiced BLOWING slowly. 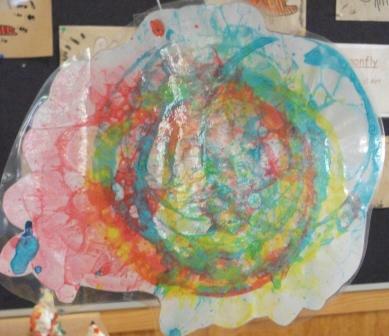 When the bubbles are over the rim of the container, the children placed their paper over the bubbles and created a bubble print. 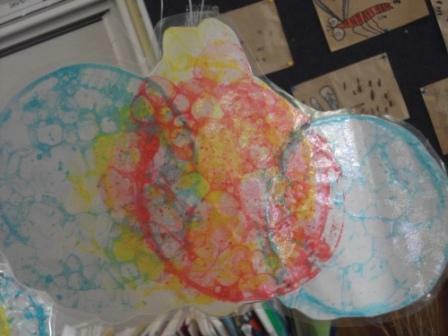 When their paintings were dry, we cut out the bubble prints and laminated them to make them shiney. 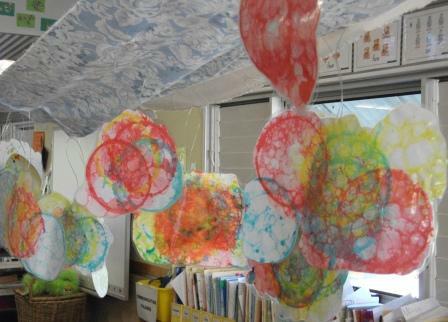 We hung some of these above our reading area. 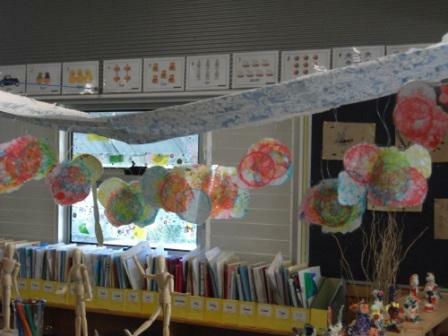 Hanging from a piece of blue patterned fabric, they look like they are floating in the sky.